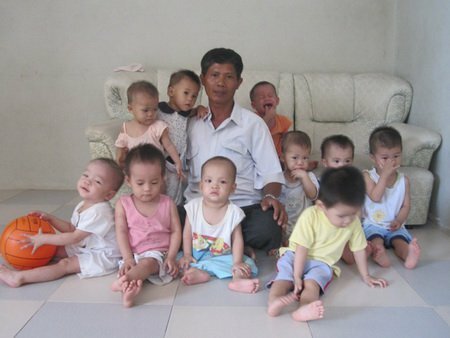 Tong Phuoc Phuc from Vietnam has shown the world what true selflessness is: He has saved the lives of more than 100 children over the last 15 years. It all began in 2001 when his own wife was pregnant. He went with her to the hospital and noticed that pregnant women were entering the next room and coming out no longer with child. It took some time before Tong realized what exactly was going on. The idea that these babies didn't have a chance to come into this world broke Tong's heart. So, Tong asked if he could take the aborted children from the hospital so they at least could be given a proper burial in an appropriate place. The former construction worker bought land atop a mountain called Hon Thom in the city of Nha Trang with his savings. Tong began burying the dead babies in this idyllic setting. At first, his wife thought he'd gone crazy, but Tong wouldn't give up his dream. He's buried more than 10,000 babies over the years, but what he really wanted to do was save these babies in the first place. 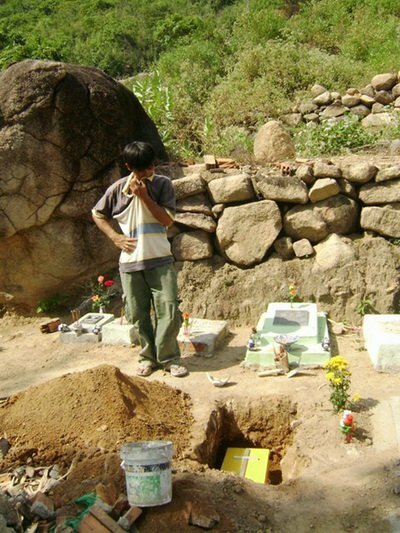 He said his graveyard isn't just a place for sadness, it's a garden meant to touch women who are feeling uncertain. Mothers who didn't have the means to support their children started coming to Tong asking for help. The man transformed from gravedigger to lifesaver by adopting countless children from these overwhelmed mothers. The idea is that once the women are in a more secure life position, the children may return to them. 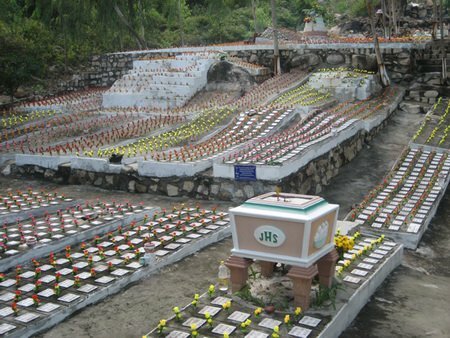 So, what was once solely a graveyard, has become a special home to more than 100 children. It was impossible to keep track of all the kids, so Tong came up with easy-to-remember nicknames for each: All the boys are called "Vinh“ (honor), and all the girls are called "Tam" (heart). The second and third names are the mother's name and Tong's family name, respectively. 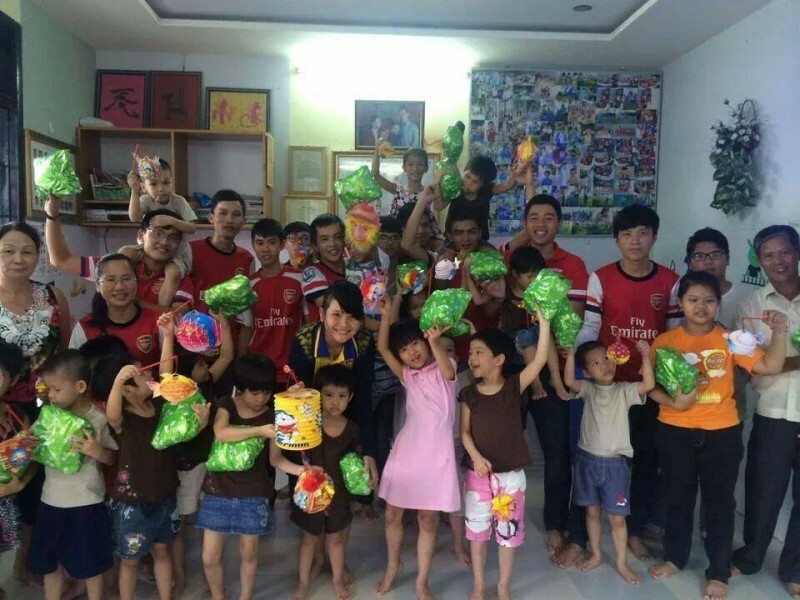 But this dad doesn't treat these kids as foster children, they are each like one of his own. Caring for and raising so many children is obviously a huge task, but Tong loves his role as father. "I will continue this work till my last breath," he said. "I hope my own kids will continue helping people when I'm gone." You can see the love and gratefulness in the eyes of each of his children. Can you imagine a warmer father? Tong's work shows what could happen if we all gave life a chance. Even if not everyone has the strength or means to do so, it would be good if we each learned from the actions of this inspiring family.